President Obama should offer Edward Snowden a deal: The former NSA contractor was a whistleblower. He may have broken the law, but he’s the definition of a whistleblower. Edward Snowden during an interview in December 2013 in Moscow. Edward Snowden’s revelation of mass surveillance by the National Security Agency, including the bulk collection of phone records, would seem to conform to all of the criteria for whistleblowing. Did he expose violations of law? Check. Last month, a federal appeals court held that the phone records collection program was illegal. Did he reveal abuses of authority? Check. The NSA’s inspector general has acknowledged dozens of incidents in which employees tracked phone calls and emails of former girlfriends, objects of romantic interest, or in one case an “unfaithful husband.” Did he point out gross mismanagement? Check. The mere fact that Snowden was able to walk out with a treasure trove of top-secret information more or less proves the point. Did Snowden bring to light the waste of public funds? Quite possibly, check again. The government has provided no evidence that the costly program has prevented a single terrorist attack. Unfortunately for Snowden, the Whistleblower Protection Act contains a major exception: It does not apply to people who work for intelligence agencies, including the NSA. The Justice Department maintains that Snowden’s actions fall under a very different kind of law, the draconian and anachronistic Espionage Act of 1917. The Whistleblower Protection Act protects you as long as you believe you are doing right in leaking information about government wrongdoing to the press—even if you are wrong. The Espionage Act treats you as a traitor even if you acted with patriotic intent, as Snowden convincingly claims to have done—and even if you are right. The chasm between the government’s encouragement of some whistleblowing and its severe punishment of other whistleblowing constitutes the limbo in which Snowden finds himself. This week, he and his allies claimed moral vindication, as Congress voted to prohibit the most notorious practice he brought to light. Following recommendations made by President Barack Obama in the wake of Snowden’s revelations, a coalition of Democrats and libertarian-minded Republicans that included Kentucky’s Sen. Rand Paul declined to renew Section 215 of the Patriot Act. A court’s secret interpretation of that provision was what allowed the government to collect bulk phone records for more than a decade. In its stead, Congress passed the equally Orwellian-sounding Freedom Act, which ends that practice. Opinions differ about how significant the changes under the new legislation really are. Snowden, writing from his Russian exile, calls it a “historic victory.” Others argue that it merely shifts the burden of data collection to the telecom companies, a mostly symbolic change. Many other surveillance programs that threaten privacy and civil liberties were not addressed by this week’s action and remain in place. But henceforth, NSA policies face limits set by elected representatives of an informed public. Thanks to Snowden, Americans know that the government is monitoring their electronic communications. Civil libertarians can object to the new policy, but they can no longer claim that it operates without the consent of the governed. Obama’s legacy now includes the repudiation of the most abhorrent and illiberal policies adopted by his predecessor in the wake of the Sept. 11 attacks: torture and the mass surveillance of phone records. What this week’s debate did not come any closer to resolving is the status of Snowden. The Justice Department demands that he return to face criminal charges. The implicit position of the Obama administration, as well as most members of Congress, is that Snowden did the country an important service and that he should pay for it by going to prison for the rest of his life. Snowden quite reasonably refuses to return on these terms. He says he is willing to stand trial and face the consequences but wants to be able to present a public interest defense—impossible under an Espionage Act prosecution. Rather than leaving Snowden’s status as a problem for his successor, Obama should make resolving his case part of his presidential legacy as well. His Justice Department could offer Snowden a plea bargain, under which he would not serve prison time in exchange for his cooperation. Or the government could charge Snowden under the standard laws covering disclosures of classified information by government officials. This would allow him to return from his Moscow purgatory and make his whistleblower defense. 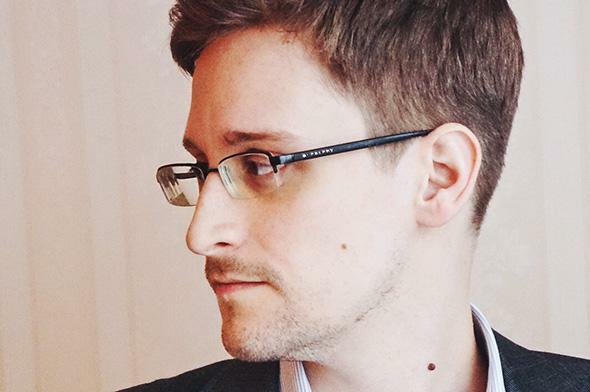 Snowden clearly broke the law in revealing government secrets. But he did so for valid reasons and with an outcome that now has the endorsement of both the legislative and executive branches. That is reason enough for Obama to show him mercy. A version of this article appeared on FT.com.